One of the factors that make laminate the preferred flooring material for many homes is that it is easy to care for and maintain. While you may not have to spend a lot of money or time in maintenance of your laminate flooring, there are certain things that you should remember when cleaning the floor. 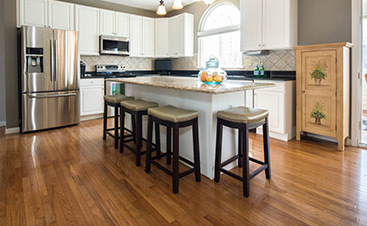 Here are a few tips you can use for maintenance of your laminate flooring. Use a dry mop to clean the floor everyday. This removes any dust or dirt residue on the laminate and keeps it clean. 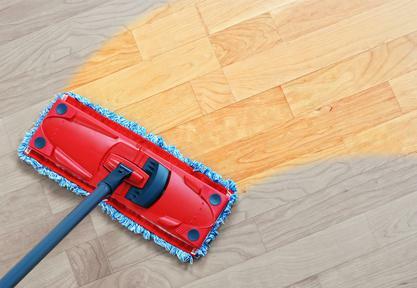 Once every week, make sure you mop the floor with warm water, which does not leave any streaks on the laminate. You can use plain water or add gentle soaps, vinegar, baby shampoo or a mild detergent to clean the laminate flooring thoroughly. Soon as you are done cleaning with a wet mop, clean with a dry cloth or air dry the floor. 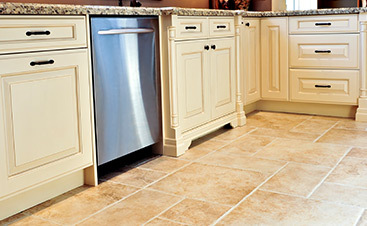 Dampness on the floor for long can damage the floor. Spills are common in a home that has children. When you or your kids spill water, oil or any other liquid on the floor, make sure it is wiped clean with a dry cloth immediately. 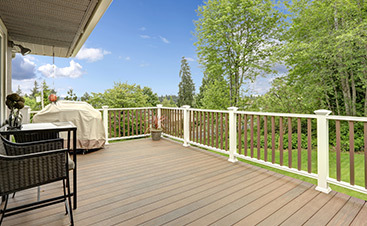 Leaving spilled water or beverages on the laminate floor for too long will create stains and also damage the board, as the water is absorbed by the wood. Damages are common when you have a wooden floor. Chipping and scratches are perhaps the most common damages that you will encounter with a laminate floor. Whether it is just a small chip or a crack in the floor, get it checked and repaired by a professional as soon as possible. Delaying repairs only makes things worse and increase your costs. Unlike ceramic tiles or granite which does not get stained so easily, laminate can get stained if you do not take proper care. However, immediate cleaning of the smudge can rid any blotches and keep your laminate floor as good as new. In case of blood, you can use window cleaner. Ink, soda, wine and crayon stains can be cleaned with a damp cloth, given that you wipe them away immediately. Greasier stains from shoe polish, lipstick, tar or nail polish stains can be removed with nail polish remover. Thank you for reading! How can we help you?